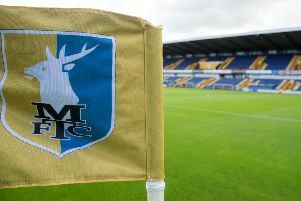 Crewe Alexandra sub Callum Ainley sent Mansfield Town tumbling out of the top three promotion places with a second half brace as Stags suffered an ill-timed 2-1 home defeat this afternoon. Ainley struck on 71 and 84 minutes with Krystian Pearce’s stoppage time reply coming too late to save the day. 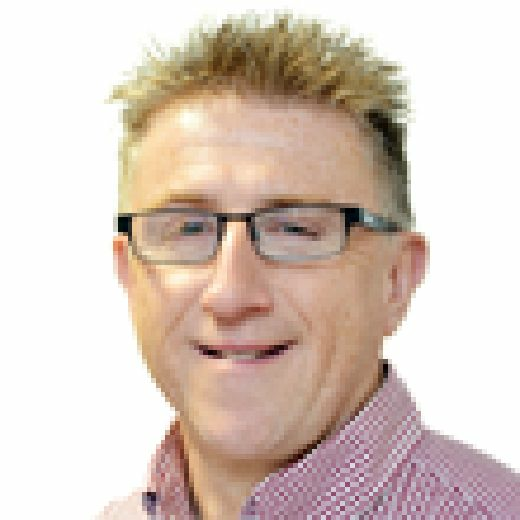 Crewe’s away form has been much improved of late and with nothing to play for but pride, they proved more than a match for Mansfield, who failed to seriously test keeper Ben Garratt all afternoon. Mansfield did have a couple of efforts cleared off the line in the first half. But serious chances were few and far between in a cagey, tense affair. With rivals MK Dons and Tranmere Rovers both winning, the tension is raised for the final seven game run-in. The Mansfield side showed just one change from Monday’s home draw with leaders Lincoln City with Jordan Smith back in goal in place of Conrad Logan. With key centre half and skipper George Ray suspended, Crewe made two changes from the side that beat Crawley 6-1 last weekend with Aaron Taylor-Sinclair making his full debut in place of the injured Harry Pickering and James Jones replacing Charlie Kirk, who drops to the bench. The Crewe side included ex-Stags defender Nicky Hunt. Mansfield dominated the early possession with some nice flowing passing but were unable to get into the Crewe box at the end of it. It took 12 minutes for either goal to be threatened as an Ng cross curled dangerously wide of the home far post. The first corner came on 15 minutes as Benning floated it to the far post where Bishop nodded it back into the mix and keeper Garratt safely smothered. Stags looked to break from the visitors’ first corner four minutes later and had Grant’s crossfield pass been more accurate Hamilton would have been clean through. Stags had a big shout for a penalty from their second corner on 24 minutes as Grant’s kick was cleared to Sutton whose shot was blocked by Green, home players claiming handball, but the referee played on. The first save of the game came on 29 minutes as Porter’s clever flick gave Bowery sight of goal 18 yards out, but Smith was comfortably down to grab his shot. Ng saw the game’s first booking on 34 minutes after halting a Stags break by felling Mellis. On 37 minutes a low Hamilton cross was just out of the reach of the incoming Walker and, seconds later, Crewe suffered the same fate as Green drilled low and wide of the far post with Porter sliding in too late to make contact. Another raid on the Crewe goal saw Hamilton’s shot hooked off the line by Nolan and a Mellis volley blocked as a tight half ended goalless. Mansfield made a switch for the second half with Ajose on for Jones and Hamilton dropping back to right back. And Ajose almost made an immediate impact but failed to make contact with an attempt at a diving header from a Walker cross. On 49 minutes tempers flared as Bishop and Green clashed with Bishop ending up being knocked over. Players piled in and as the dust settled both players were shown a yellow card. A neat Stags move down the right ended up with Hamilton firing well over the far angle. Preston was booked for bringing down Porter on 57 minutes and, seconds later, Nolan’s rugby tackle on Walker saw the card produced again and Benning curl his free kick wide. Within two minutes Pearce was also booked for bringing down Porter as he skipped pat him. Bowery found himself in space on the left on 62 minutes with Stags looking for an offside flag, but he curled his finish well wide of the far post. MacDonald replaced Grant in the home midfield on 62 minutes. Ajose was too high on a home break on 64 minutes as Garratt remained untested. A hack at Ajose saw Taylor-Sinclair become the fourth Crewe man in the book on 67 minutes. Crewe then stunned the Stags as they grabbed a 71st minute lead. Sub Ainley, only on the pitch for nine minutes, had his back to goal eight yards out surrounded by defenders but managed to turn and make space to steer a low finish under Smith. On 75 minutes Mellis slipped at the vital moment to fire over from 18 yards from Bishop’s pulled back pass. With Stags desperate for a goal, Benning was sacrificed to bring on Khan on 76 minutes. But a mistake by Pearce on 84 minutes saw Crewe double their lead. Pearce lost the ball to Lowery, who raced forward and fed Ainley to his right for a low finish inside the far post. In the first of six added minutes Bishop poked the ball goalwards but Garratt easily gathered. But on 92 minutes Pearce managed to force the ball over the line from a scramble after a corner to raise faint hopes of a point, keeper Garratt booked for then holding on to the ball as the afternoon ended in bitter disappointment.